To use the method of loci bring to mind a familiar building, such as your house. Take a moment to conduct a mental walk through the rooms in your house. Pay particular attention to the details , noticing any imperfections, like scratches: anything that makes your mental images more vivid. Make sure you can move easily from one room to another. Along your route create a list of "loci" :i.e. well defined parts of the room that you can use later to memorize things.A locus can be a door, a bed, an oven, etc. Be sure that you can easily go from locus to locus as you visit the house. Now, when you are faced with a list of words or ideas to be memorized, you must form visual images for each of the words and place them, in order, on the loci in your route. To recall the words or ideas now you take a mental walk throughout your house, asking yourself , "What is on the living-room door? What's on the sleeping room bed. What's in the oven?" And so on. Associating the words or ideas to remember with the loci, you should create surprising images. More striking is the created image, more easily you will remember the thing. This is all about the method! What follows is,instead, just a short FAQ if you are curious about what is behind this method. Who invented the Method of loci? According to Cicero's De Oratore, the greek poet Simonides invented it. The legend says that Simonides escaped a disaster that destroyed the building where he was having a dinner with other dignitaries. He was able to name the victims by recalling where they had been seated. What is the relationship between the method and the "Art of Memory"? The Art of Memory was about the use of space to remember things and was based indeed on the method of loci.So the method of loci is almost a synonym of Art of Memory.This mnemonic technique was used by the ancient rhetoricians and later orators until the invention of the press.The major points of speeches were remembered using the method. The orators would visualize walking through the rooms of their memory palace and associating the next point to be addressed with a successive locus. This is perhaps why we now say "in the first place." Why Frances Yates is often cited when speaking of the Art of Memory ? Frances Yates has written the best in depth account on the history of the Art during its long evolution from Simonides to its demise in the 17 century. In this book,named "The Art of Memory" and easily readable by anyone,Frances rediscovers the Art after two centuries of oblivion.Yates main point is that the learning of the Art was central to the formation of cultured people for twenty centuries. For this reason the Art is one of the central points in Western Culture. Why Joshua Foer is often cited when speaking of contemporary use of the method ? Joshua Foer after experimenting himself the usefulness of the method, has written one of the best reports on its history , use and relevance in the book "Moonwalking with Einstein" published in 2011. Although the book by Frances Yates is superior concerning the history, the author didn't bother to learn the method, so she somewhat guessed the method's use and usefulness. In any case she really didn't care and didn't know about contemporary use. JF shows instead how the method is put to practical uses by contemporary people. In this video: Feats of memory anyone can do JF reports his experience and explains the method. Are there signs of the influence of the Art still visible in our cities ? Medioeval cathedrals were build to work also as memory palaces. Dante also, in the Divina Commedia, builds a kind of memory palace. Can you give examples of uses of the Art by cultured people? Monks used the Art to commit to memory their sermons, lawyers would memorize their speech in the same way. What is the connection between the Art of Memory, Giordano Bruno and Hermetism? Images stored in the loci become more than a mnemonic device. They help us in getting a better understanding of the world. Through them we discover the true essence of things and their relationship. They have also magical powers acting like talismans.They are in fact the "Shadows of Ideas":the essence of reality. After his death he was and is presented as a martyr of Science.The truth is that ,when he lived, modern science was not really born and we don't really know why the Inquisition decided to condemn him( all documents about his process have been lost). But, if the idea that Bruno lost his life because of his support for Copernicanism is probably false, the idea that he was condemned because of his beliefs about the magic powers of the Art of Memory, is probably true.So he may very well be a martyr of the method of loci! What is the connection of the Art with the discipline of Rhetoric? The Art was learned as part of the Rhetoric by Greek and Roman orators. Later it was integrated by Thomas Aquinas under the virtue of Prudence. Can you give some specific example of striking images? In an ancient text about the Art (Rhetorica Ad Herennium) there is this image to be used by a lawyer working on a case of poisoning to gain an inheritance with many witnesses: the defendant is at the bedside of the poisoned man holding in his right hand a cup(the poison) and in his left, tablets (inheritance) and a ram's testicles (testes i.e. the witnesses in Latin). If you are curious, Joshua Foer, in Moonwalking with Einstein, gives plenty of examples of these images and how to build them in a systematic way with mind's eye. What is the link between the Method of Loci and the Camillo Memory Theatre? The "Idea" of the Theatre by Giulio Camillo, was essentially the following: instead of having cultured people imagine complex architectures to store all the knowledge,why not build a physical place and then store all knowledge in this place. Now you can learn simply by walking in this Memory Theatre. Should we use necessarily real buildings or we can use also an imaginary place? As "building" for the loci almost every structure both real and imaginary that extends in space, has been used.A city, an abbey, a tree, the human body, a schematic drawing, etc,etc.The so called mnemonic major system or peg system uses as loci images connected to the numbers 1 , 2, 3 .. You start from 1(t,d,th), 2(n), 3(m),4(r),5(l),6(g),7(c,k,gh),8(f,v),9(p,b),0(z,s) and then, for example,16 becomes the word "dog" (d=1,g=6) and the image of the dog. Is the method still used today? Some memory performers on stage or television use the method.One of these is the famous italian mnemonist Gianni Golfera. This is reported in detail by Joshua Foer in his book Moonwalking with Einstein. Joshua is a journalist who ,after reporting on a memory competition held in Usa was able by using the method to win the same competition the next year. His book is also a very well written practical introduction to the contemporary method use. Instead the most studied mnemonist, a certain Shereshevsky(S.) followed for 30 years by the russian psychologist Luria, discovered the Method by himself.He really didn't need it to remember things: apparently ,for him, being synaesthetic,every experience was so compelling to be unforgettable.But when asked to remember ,for example, 50 items in order, he would put them along some street that he knew very well.This would make the recollection of the items in the right order more easy for him. This paper reports that in many known cases of normal people with exceptional memory (excluding thus autistic people with savant syndrome) this method is used. Many Universities and colleges include the Method as a mnemonic device in their pages of advices to students. Look in these search results for some example. The famous novelist Thomas Harris in the novel about Hannibal Lecter ("Hannibal") describes in detail how Dr. Lecter uses the method . Unfortunately all this has been lost in the movie version. Sherlock Holmes in the BBC series Sherlock (The Hounds of Baskerville episode), uses his "mind palace" to seek important facts in his memory relevant to the case. The original novels and short stories by Conan Doyle have no mention at all about this. How many things can you memorize with the method of loci? People would memorize palaces with hundreds if not thousands of loci .With such a memory palace you can remember a lot of things but you also need to train a lot to use properly such big places. Memory performers use them routinely but their experience is that they have to rehearse for hours every day to use them. Joshua Foer in Moonwalking with Einstein , reports using around one hundred houses to have enough loci available! There are images left by the ancients of these memory palaces? Yes there are some striking images included in memory treatises or just printed without accompanying text to be used specifically for this purpose.Medioeval university teachers would,for example,represent all the items of their subject matter organized spatially in some striking image and have this image used by students to learn their topic. Why some authors consider the Art of Memory as a tool of creation? Mary Carruthers and others modern authors point out that the ancient Art of memory was considered more than a way to remember things, a tool to create new things. We now think about this technique as something where you have, for example, a sermon already written and then you memorize the main points using the Art and then recollect your images to deliver the speech. Something that in modern days would be done by reading the words from a sheet of paper. In fact, things were slightly different. There was no previous written sermon! The sermon was created directly from the memory images! In the same way people would create also literary composition like poems or simply meditate about God or other items. For example, in the case of meditations, the written word (in the Bible) was only a starting point, then the creation of the memory images and its recollection walking in memory palaces would organize and expand the original material allowing the person to explore and learn more about the subject matter. What is the relationship between memory palaces and hypertext? Both use space to make learning easier.An hypertext with its clickable icons and images is like a memory palace and each link is a locus .When you click, the idea stored there appears as a new document.The only difference is that you don't have to memorize the structure . From this point of view hypertext is much more like the Camillo Theatre: a physical space where you learn by walking. What is the relationship between the memory palaces and virtual reality? Virtual Reality is essentially a 3D hypertext.You now navigate not only with the mouse but with all your body:the dream of Camillo becomes true.We can now build a place where you learn only by walking. What is the relationship between the Art of Memory and computer interface? It is by now clear that both the human and digital memory aren't merely a repository, but a theatrical stage. We access computer data by clicking and in general using an interface based on a spatial metaphor.The same we do with our memory using the method of loci.So the Art has been the first computer interface invented by man and used to make better use of the biggest computer ever built:our brain.It was the first model for data storage and retrieval and now is driving the the research on new computer interfaces. So ,for example, the successful visualization of a complex molecule includes not only static images of its parts but also the capability to travel inside the molecule using the mouse. Does the method really work? Bower:Analysis of a mnemonic device-Am.Sci. Sep,Oct 75?
. See also this Master memories are made not born. And also Testing-the-Limits in a mnemonic technique: A study of cognitive plasticity in very old age.In these studies the participants are trained in using the method as a mnemonic device to remember word lists. Carruthers, Mary. The Book of Memory: A Study of Memory in Medieval Culture. Cambridge: Cambridge UP, 1990. Carruthers, Mary. 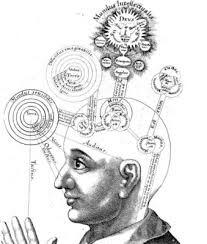 The Craft of Thought: Meditation, Rhetoric and the Making of Images, 400-1200. Cambridge: Cambridge UP, 1998. Rossi, Paolo. Logic and the Art of Memory. Trans. Stephen Clucas. Chicago: U of Chicago P, 2000. Yates, Frances. The Art of Memory. Chicago: U of Chicago P, 1966.